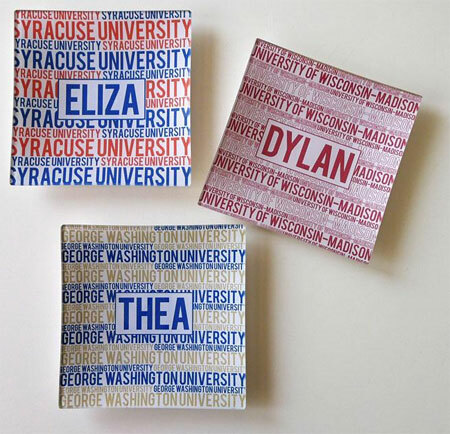 This handmade glass tray gets personalized with a name, the school’s name and school’s colors! Perfect gift for the high school or college graduate! Tray is food safe but should not be immersed in water. Simply wipe clean.